London is the dream city of a lot of people and most of the people just wish for one vacation in this dream land. 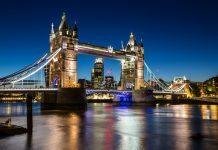 There are all sorts of people who visit the city from different parts of the world with different reasons and different expectations from the city, while some people look for cheap accommodation, some people look for the luxurious accommodation and London city takes care of all kinds of expectations by providing all that you need. The best that people need is to have a luxurious yet cheap stay and if that’s what you are also looking for then you must watch out for Park Grand London special offers. Park Grand London is one of the biggest hotels in the city of London and thus getting accommodation at this hotel at a reasonable price is a little difficult. If you wish to stay in the hotel, you must look out for Park Grand London special offers on their website because the hotel takes out most of its special offers and deals on its website. The special offers mostly include some great discounts, free shuttle service to and from the airport, free shuttle service in the city, free breakfast, free internet in all the rooms and many more such offers which are totally hard to resist. The hotel is a famous 4 star hotel with the amenities of a 5 star hotel and if you avail Park Grand London special offers then you are in for a real treat. The hotel is a real delight to stay in when in London with its world class amenities and ambience, it is a known name throughout the world and if you stay here once you are sure to return to the hotel every time you visit London. The rooms of the hotel are huge and overlooking some of the best locations of London. Whether you choose to stay in Paddington or Hyde Park you are always sure that you are amidst the best locations of London and at a walking distance from most of the famous tourist spots of the city. 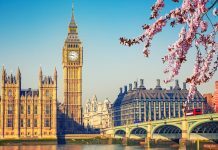 the famous Oxford Street as well as Kensington Street is also close by which can be easily accessed on foot and you can enjoy a great London experience while staying at these hotels. 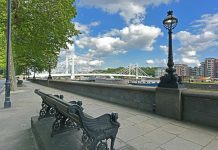 Share the post "Park Grand London special offers to make your stay memorable"